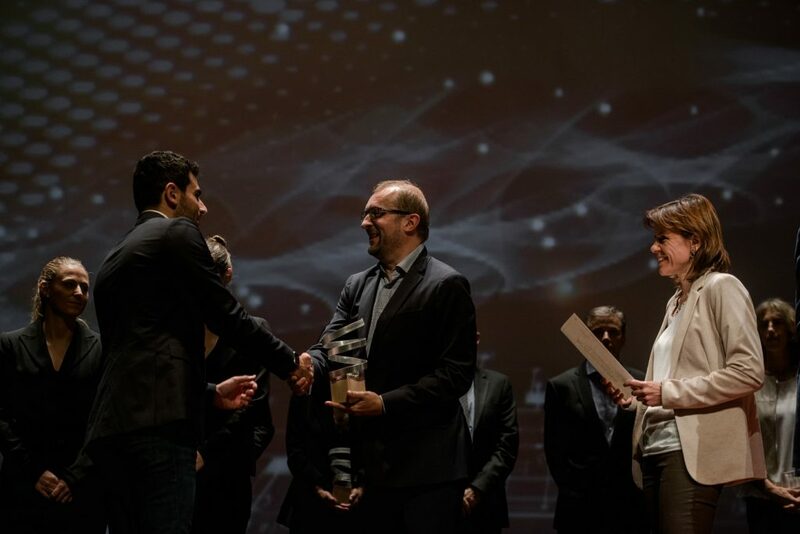 Jean Paul accepts the Best Social Innovation Project Award at the Closing Ceremony in November 2018. 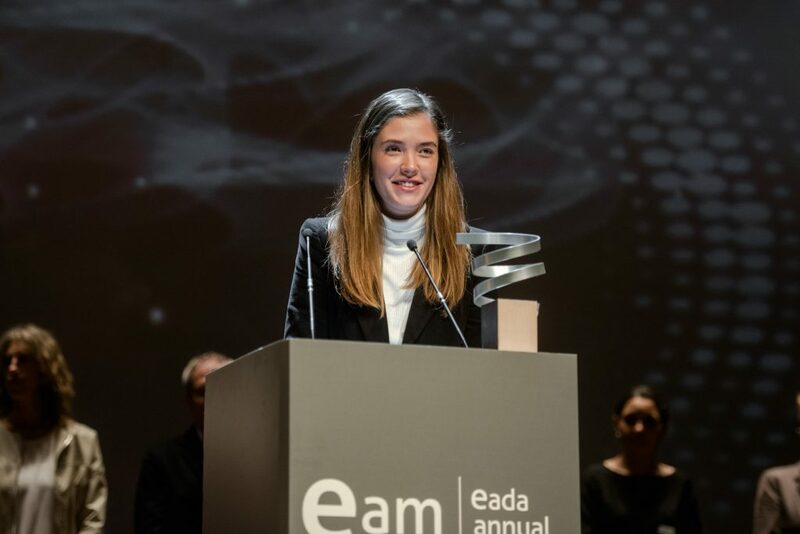 A group of graduates from the International Master in Sustainable Business & Innovation class of 2018 were honoured at the EADA Annual Meeting this November with the Best Social Innovation Project Award. The project, entitled “Fair Bridge”, focused on finding a solution for illegal street vendors in Barcelona. Using Design Thinking, the group developed a working platform to return dignity to immigrants and improve the social, economic and political condition of all parties. 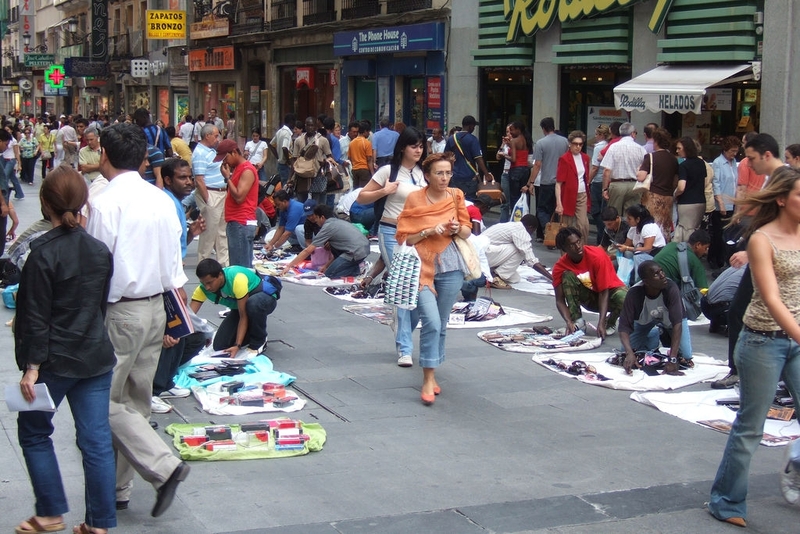 The group worked on the project from January until July of 2018, researching the situation of street vendors in Barcelona and interviewing a wide range of stakeholders. The winning group was made up of four participants: Maria Beatriz Almeida D’Orey (Portugal/Brazil), Michiel Sebastiaan Bom (Netherlands), Rene Kaadou Moawad (Lebanon) and Jean Paul Tabchi Ardahalian (Mexico). We interviewed Jean Paul Tabchi Ardahalian, Michiel Sebastiaan Bom and Maria Beatriz Almeida D’Orey to hear first-hand about such an innovative project. What was the most challenging aspect of the project for you? And the most rewarding? Jean Paul: The most challenging aspect of the project was all the fieldwork that we had to do. The most complicated stakeholders to reach were the street vendors and the government officials. We had to be very persistent with the government to get an interview – but our perseverance paid off. With the street vendors, we had quite a different issue: although they were very accessible, they were sceptical of providing personal information due to the illegal nature of their work. It took us some time to find the right approach, but after some practice, we improved our soft skills and eventually created a bond with all of the stakeholders. The group's project required EADA participants to work together with the government and the street vendors to find a sustainable solution. The most rewarding part of the project was that, by the end, we had collected quantitative and qualitative data, developed solid contacts and developed an accurate understanding of each stakeholder’s perspective. We went from knowing nothing to a thorough understanding of the issue at hand. Michiel: It was very rewarding to see the “Manteros” (vendors), as well as the municipality, believe that Fair Bridge could offer a real solution that works for all parties. Our project was also featured in an article in the Spanish newspaper l’Economic and we were further recognised with the Best Social Innovation Project Award. What role did the faculty play in the completion of the project? María Beatriz: The professors had a very important role in the project. During the “game changing” phases, we consulted professors that we knew could make a big difference, through a simple piece of advice, a long skype call or even several appointments to facilitate stakeholder bonding. Does the project reflect the reality in the professional world? Jean Paul: This project allowed us to get a real professional experience – we were tasked with finding a solution that benefited all stakeholders, and I am sure that future professional projects will require the same patience, work and dedication. Michiel: I am sure that during my professional career I will work on projects with a positive impact on society, minority groups and/or the environment. Our final project provided me with valuable experience and confirmed how rewarding it is to do your job well. Through the project, I also realised that I would like to work at the forefront of a business where business relations and deals are made. Maria Beatriz her experience during the Fair Bridge project at the Closing Ceremony. María Beatriz: This experience will definitely influence my personal decisions and impact how I perceive the immigration crisis in my home country. When we speak with and listen to the real players in a society in crisis, the global scale of the problem becomes apparent. You start to question how –professionally–you can contribute to the world you live in. Jean Paul: It is not easy to integrate all people into society, but it is our obligation to try. Old and broken systems won’t permit us to solve problems like street vending and emigration. We need disruptive ideas and methodologies like Design Thinking that puts human needs and user interaction at the core of the innovation process. Michiel: The most important thing that I learned is that you can have a great impact solving (social) problems only when you are able to tap into the full potential of your team, and when you manage to collaborate with the different stakeholders around you. María Beatriz: The domino effect of doing good and doing bad. It is amazing how many stakeholders were involved in such a complex problem as immigration – and we had to explain, listen to, consider, and sometimes, dis-consider, each of them for the project.